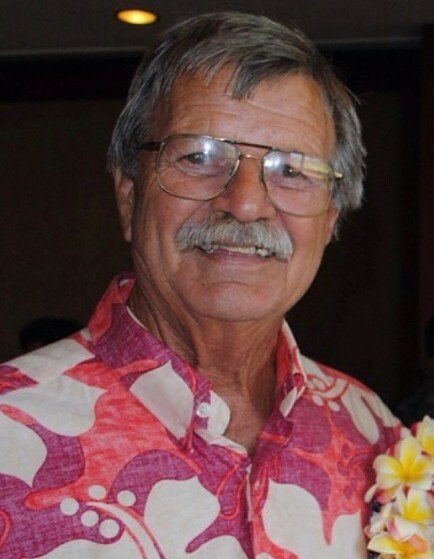 Peter Michael Oliver, 74, of Anahola passed away at home on September 26, 2018. He was born in Massachusetts on May 24, 1944. He was a Veteran with the United States Army serving in the Vietnam War and a self-employed landscaper. Preceded in death by his parents, John and Doris Oliver. Peter is survived by his wife, Leiola Kamalani-Oliver of Anahola; 8 children, Kekaikaheelani Oliver of Anahola, Kaiana (Mokihana) Oliver of Wainiha, Lahaina (Robert) Grance of Anahola, Kahelena Oliver of Kauai, Mi Nei (Jason) Martins of Kapaa, Waika (Mary) Oliver of Hilo, Kauluwehiokekai (Keoni) Nakano of Kapahi, Kawahineha’aheo (Caleb) Keolanui of Anahola; 23 grandchildren; brother, Jamie Oliver of California; sisters, Christine Sumner of Nevada, Jacqueline (Greg) Tesch of California; numerous nieces, nephews, cousins and friends. A celebration of his life will be held on Saturday, October 27, 2018 at his residence in Anahola beginning at 11:00 a.m. Peter’s cremated remains will be separated and scattered at sea and also be placed at the National Memorial Cemetery of the Pacific at Punchbowl.